A question in the Wrightslaw inbox that caught us by surprise. We sometimes forget the basics. Based on your question, I suspect you are quite new to this field. IDEA. 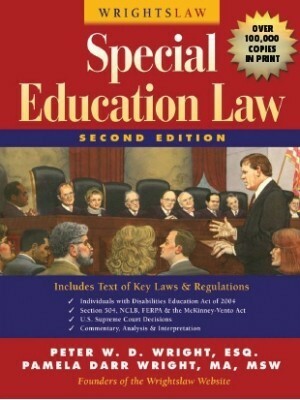 Individuals with Disabilities Education Act. 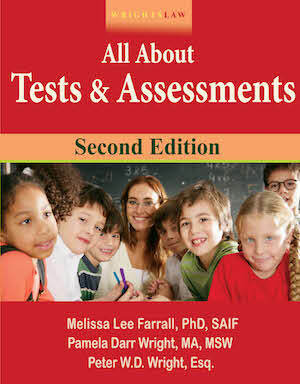 If you have a child with special needs, per IDEA, the school district is supposed to evaluate your child. 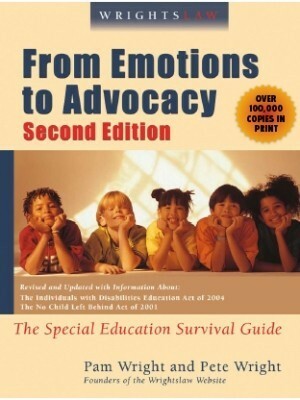 If your child is suspected of having a learning disability (LD), the school district may use the discrepancy between the child’s IQ and educational performance as one basis to determine the child is eligible and qualifies for an Individualized Education Program (IEP). 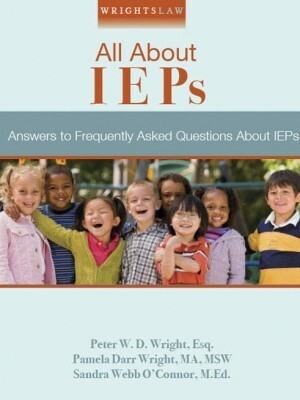 But the school may also use a process known as Response to Intervention (RTI) to see if that LD child is eligible for an IEP. The definition of LD is in IDEA at 20 U.S.C 1401(30) and the law about RTI is in 20 U.S.C 1414(b)(6). 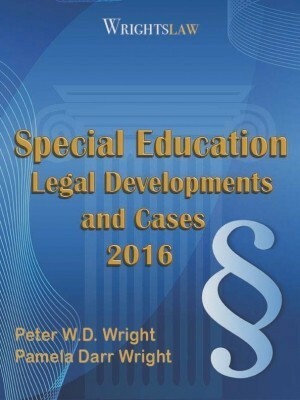 Wrightslaw: Special Education Law, 2nd Edition, page 55 and page 97. 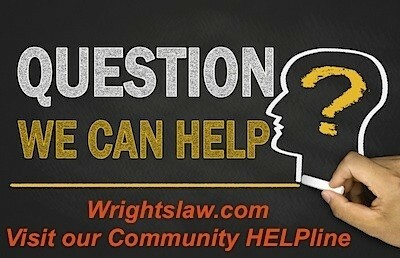 Go to the website at www.wrightslaw.com and search for each of these terms in our google search box on every page. You will be flooded with hundreds of files. 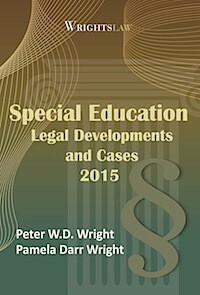 For more definitions, use the Wrightslaw Glossaries. Scroll down the left hand margin on wrightslaw.com. 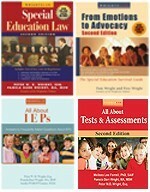 You will see headings such as Law Library which has a link to IDEA 2004. Scroll down to Topics. Again, you’ll find IDEA 2004 and RTI. Remember, the only stupid question is one that is never asked. Thanks for asking. 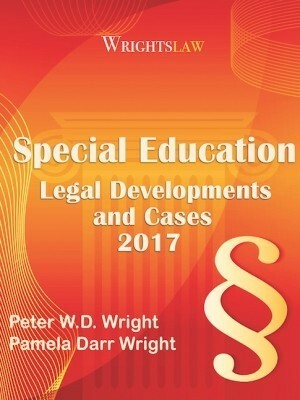 This entry was posted in IDEA 2004, Response to Intervention and tagged Glossaries of Terms, IDEA, IDEA 2004, Individuals with Disabilities Education Act, Response to Intervention, RTI, Wrightslaw Law Library by Wrightslaw. Bookmark the permalink. 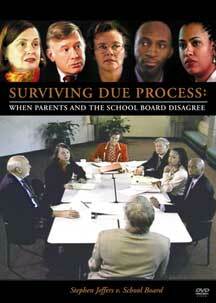 “The school cannot unilaterally discontinue your son’s special ed services unless you go along. 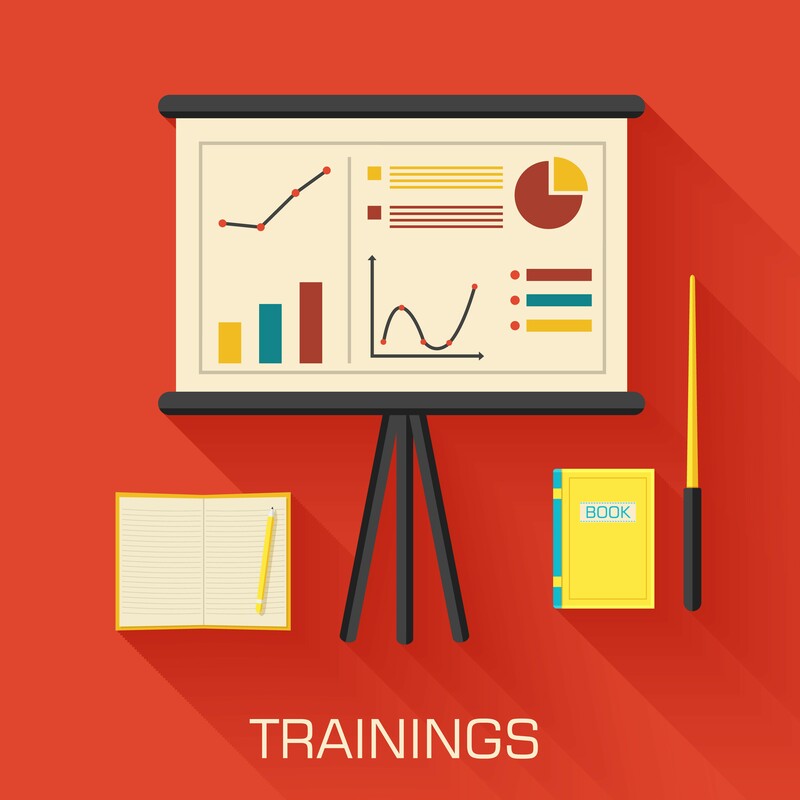 Before the school determined that your child WAS eligible for special ed services (get an IEP), they were required to do a comprehensive evaluation and assess all areas of suspected disability. Before the school can determine that your son is NOT eligible for special ed services (discontinue the IEP), they are required to do a comprehensive evaluation and assess all areas of suspected disability.